Credit scores are mostly useless pieces of financial trivia that most people should not worry about day to day. Unless you have an auto purchase, home purchase, or mortgage refinance coming up, your time can be much better spent. 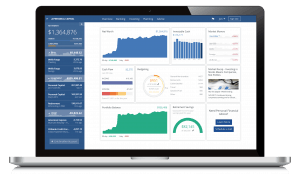 It’s much more important to minimize your expenses, pay off your high interest rate debt, and invest at least 50% of your income in tax advantaged accounts if you want to be financially independent sooner rather than later. If you do all that, you’ll end up with a better credit score than 90% of the population. Never, ever take on more debt because someone told you it will “improve your credit score.” That’s a sucker's game and you’ll only lose money playing it. I applied for and was accepted for my first credit card (an American Express Blue Cash) at the age of 18. I had no income, less than $10,000 in assets and a growing pile of student loan debt. Despite that, American Express gave me a card with a $20,000 limit. How does that make any sense? No wonder why the economy stumbled so hard in 2008-2009. However, because of that first credit card, I was able to start playing the smart credit game early. Now, before I turn 30 I enter the rarefied club of 800+ credit scorers. I thought there would be a lot more private jets, tropical islands, bikini clad models, and fast expensive cars. Oh that’s right, no one cares about your credit score except you and your creditors. So what are the advantages of having an 800+ credit score? A super-excellent, 800+ credit score means that you will never been denied for the best mortgage rates, auto loans, and credit cards. 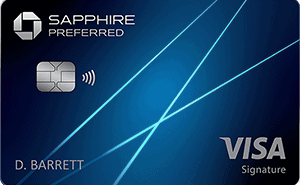 Looking to pick up the AMEX Platinum or Chase Sapphire Preferred? It’s only available to those with excellent credit. If you have an 800+ credit score, those credit card companies will be begging you to take out a card with them. If you purchase a home, you’ll have access to the best rates on the market because of your credit score. If you refinance your home (which you probably should do now based on the low rates available) then you’ll qualify for the best refinancing rates because you have a credit score better than 95% of the population. Unfortunately no one will be sending you on a private jet to a sick party in the Caribbean islands, but it’s still nice to know that you’ll save thousands on your mortgage and auto loan. And when you want to take advantage of some of the best credit card perks out there, you won’t have to worry about being denied the card because of your credit. I check my credit score monthly for free, but that’s mostly because I’m a personal finance nerd. Most people probably only need to check their credit score annually. My favorite way to check my score is through Credit Sesame. It’s free, requires no credit card, and gives you an updated score every month. Another technique is to check it three times a year when you check your credit report on AnnualCreditReport.com, the only official government source for free annual credit reports. Checking your credit report three times a year will allow you to check for potential cases of stolen identity, misreported information, and any errors that may have crept into your credit history. The credit bureaus (Equifax, Transunion, and Experian) keep track of millions of reports, so even if they only make an error 1% of the time, that’s still 10,000+ mistakes annually. While FICO isn’t the only credit score in town anymore, they are still the gold standard that 90% of the industry uses. Many banks and lenders tweak the formula based on their goals and risk management procedures, but the general concept remains the same. The FICO credit score formula takes into account payment history, amounts owed, length of credit history, new credit applications, and types of credit used. Let’s go through each component of the credit score to see how you can get an 800+ credit score in 10 years, starting today. This one’s simple. I paid my bills on time. I haven’t missed a single credit card, student loan, mortgage, or auto loan payment since I was 18. Automatic payments are easy to set up and the computers never forget. Everything I can automatically pay with my credit card I do, and then I pay off the card completely every two weeks when I get my paycheck. If the lender or biller doesn’t accept credit card payments, then I set up a Web Billpay through my USAA checking account. That way the money is going out of my account to the lender, rather than giving the lender my account details and giving them free access to my money. 10 years, no payments missed. This is known as the “debt-to-income” ratio, or DTI. DTI is a measurement of your monthly payments versus your income. If you make $5000/month and owe $1000 in student loan payments, your DTI is 20%. Note that this is based on monthly payments, not total amount owed. So if you have a 30 year mortgage, you may owe $100,000s, but your monthly payments are probably still well under your monthly income. For us, we bought a home that was only twice my annual income. This, plus my student loans and auto loan keeps our DTI well below 20%. This can also measure your access to credit vs. your credit usage. So if you have a $10,000 credit card, this component measures whether you carry a balance or pay it off every month. I've paid mine off every month, so I always have access to much more credit. This is where you need to start young. If you’re reading this and don’t have any credit, get a no annual fee, cash back rewards card (like the USAA Cash Rewards® American Express®, no annual fee and up to 2.25% cash back on gas and groceries) now! The longer you have a credit line open (like a credit card), the longer your average age of accounts will be. If you have a 1 year old credit card and open up a new auto loan, the average age of your accounts will drop to 6 months. For myself, I took out a credit card when I was 18 years old. Unfortunately I was not as smart at the time and cancelled that card at the end of university. I should have held on to the card as it had no annual fee and just not used it for anything. However, I still have a 7 year old USAA credit card open with USAA that I never use. I just activate it and then cut it up every time they send me a new one. The account is still open and I charge my biannual auto insurance premiums to the card, ensuring that the card stays open. This increases the average age of my accounts and adds some more weight to my 800+ score. This can have a negative effect on you if you’ve recently applied for a lot of credit cards. The inquiries will show up on your credit report for about 2 years. When I had 8 inquires on my credit report (mortgage loan shopping, applying for credit cards for the signup bonuses, and buying a new car), my score was as low as 740. When the time limit for those inquires expired, my score jumped up 60 points to 800. Continue making on time payments and you should soon join the 800+ club! How about you, reader? Are you in the 800+ club? What’s your story of getting there? Don’t know your credit score for sure? Sign up for Credit Sesame for free. It’s safe, secure, and requires no credit card to sign up. I use it every month. One thing that has helped my credit score is owning several different kinds of credit cards. I originally only owned the USAA World MasterCard. It is a good starter card as a college student, but there are better rewards plans out there. Beginning in early 2014, I applied for two credit cards: the American Express SPG (strong rewards plan), and the VISA BankAmericard Travel Rewards (1.5% rewards points for each dollar spent, and no foreign transaction fee. Although I pretty much loathe BofA, it is a decent backup card after the AMEX). In the year since, I’ve noticed that my Credit Score has jumped 30-40 points and I’m now in the 790s. However, nothing has changed for me financially except that I am now married.